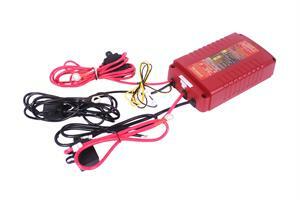 Part # BBW2412 is 24v input to 12v output waterproof model. 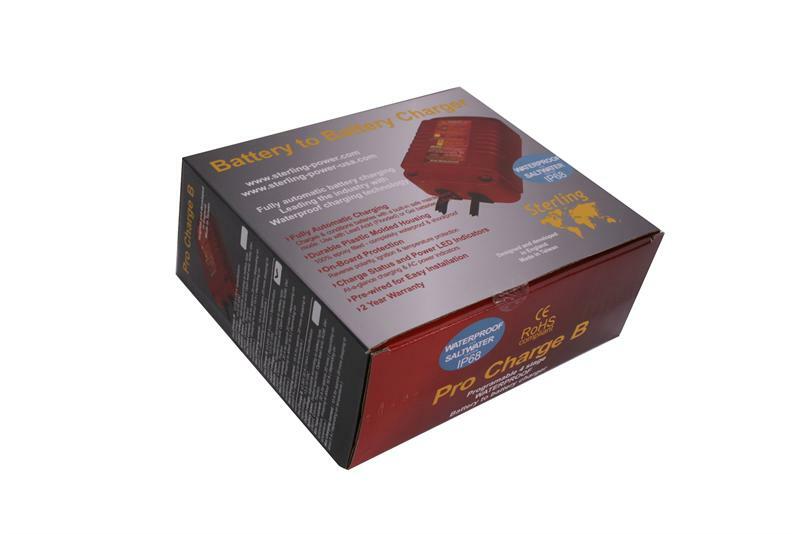 · The ProCharge-B is an IP68 waterproof, on-board multi-stage battery charger that runs while your RV, boat or truck is in use. 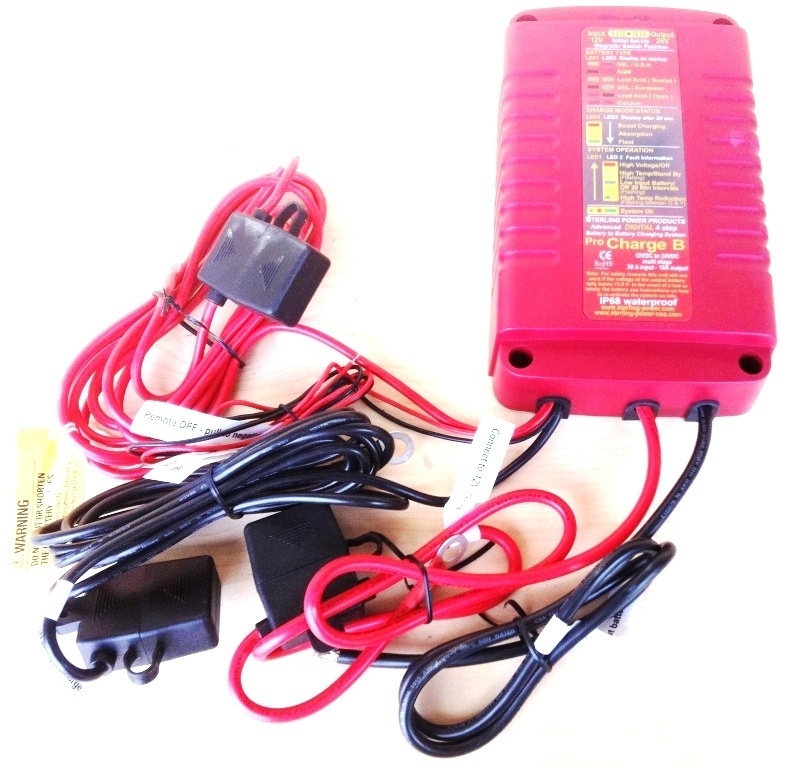 It's a waterproof battery charger for your auxiliary batteries that receives its input power from a vehicles starting battery or tow harness. As the vehicles engine runs, so does this onboard charger. · Quick and Easy to Install. Installation requires no modification to the primary electrical system, resulting in no vehicle warranty issues as you are not connected to the main system. · Comes prewired with waterproof fuses and 2 meters of cable for safe and simple installation on all types of vehicles and engines. 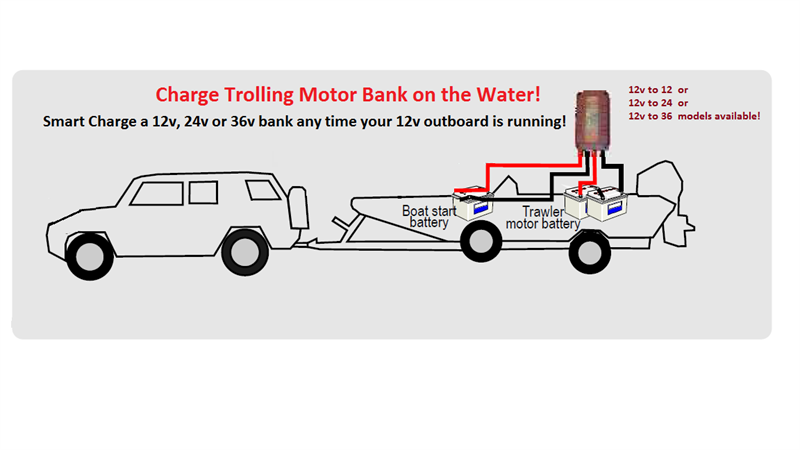 · Allows charging of your auxiliary batteries by using the vehicle’s start battery as input power while underway on the water, via wire harness while towing the boat fishing, on the road in your camper, or while the engine battery charger is plugged in at the dock to shore power. · IP68 rated housing makes this unit impervious to shock, dust and immersion in water up to 1 meter. · Built in On-Board Protection- reverse polarity, ignition & thermal current cutback temperature protection. 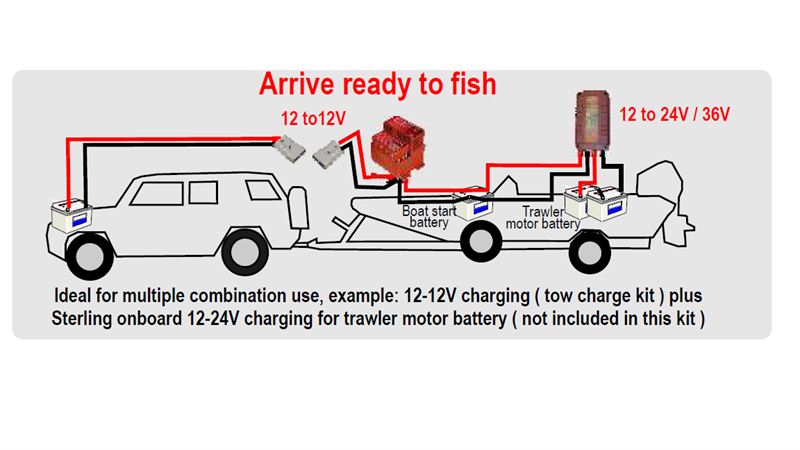 · Charge Everywhere: Recover your auxiliary batteries while on the water, or driving down the road by using start battery as input power. 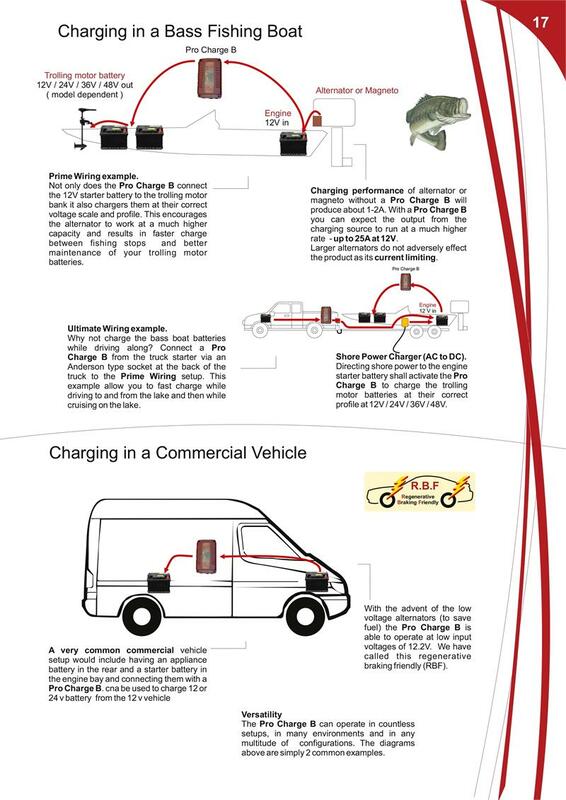 · Multi-stage Battery charging profile extends the life of your batteries by ensuring a full charge & conditioning, as well as entering a float mode when charging is complete to protect against overcharging your batteries. 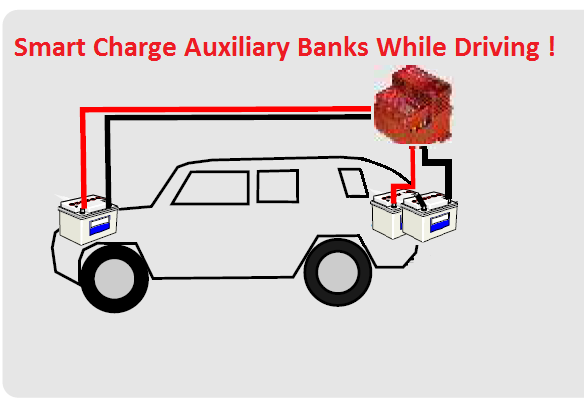 · Ability to mix on board battery types. Output charge profile is user programmable, so the output & input batteries can be different types. · Can charge GEL, AGM or Flooded lead acid batteries. Selection of charge profile controlled with a magnetic user selectable switch. · At-a-glance LED charging & power indicator. 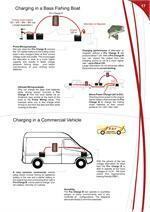 · Available in multiple 12v and 24v configurations / combinations to meet your specific onboard charging needs. · Current limited to approximately X amps for 30 minutes, Y amps continuous output after that. · Designed and developed in England, made in Taiwan. CE and RoHS compliant.